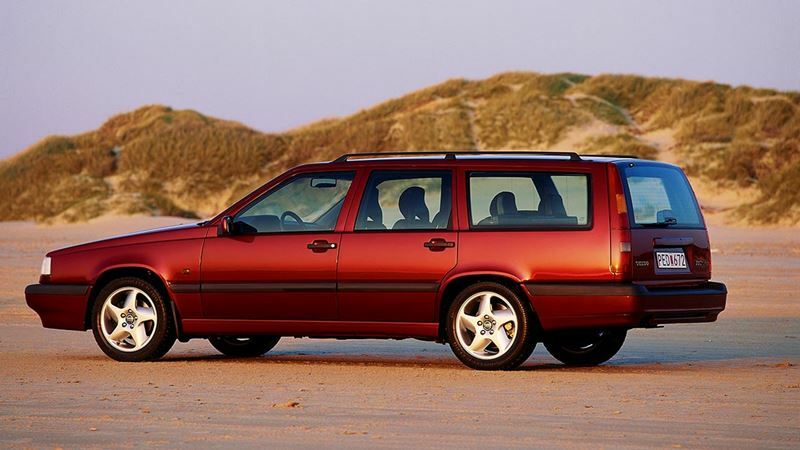 The design of the 850 estate showed a rear section with a typical Volvo profile, that is to say an almost vertical tailgate - a practical feature which maximises interior space. Over the intervening years, the 850 series has expanded with more than just the estate car version. The range now includes a wider selection of engines, including turbocharged petrol units and a direct-injection turbo-diesel. When Volvo decided to return to the race-tracks in 1994, it did so under the banner of the BTCC, the British Touring Car Championships. The first Volvo to take on the competition was an eye-catching Volvo 850 estate car, a load-lugger and road-burner in one.